Since it is safe to assume that nobody thought Vice-President Biden was simultaneously giving an interview to other pundits, and it is likewise safe to assume nobody thought Lawrence O'Donnell's show was beaming live on networks other than MSNBC, I think it is also safe to assume that the producers of the show could have done with a SLIGHTLY LESS OBNOXIOUS CAPS-LOCK exclusivity graphic threatening to overtake your entire television screen. Come on guys, that graphic is on testicle-shrinking steroids. 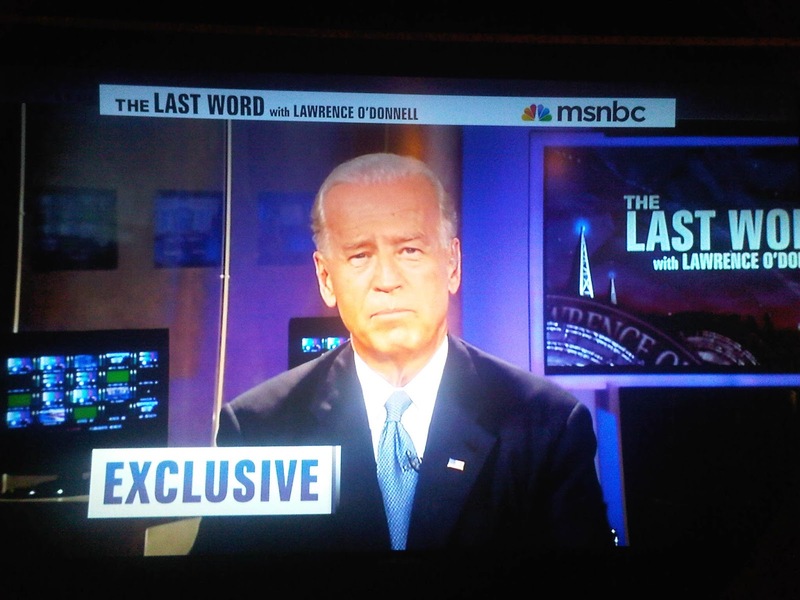 What they really meant to say was "OMG it's Joe Biden!"